Getting the best Yorkie food is very important. They have very high food choices. If they do not get the best, they would prefer showing that they do not like it. Yorkies are very particular about getting what they want. They are kind of perfectionists. You need to understand and respect that. So, first you need to understand the type of food your dog likes. Get him different kinds of dog foods available. Consider giving them boiled meat occasionally along with the bowl of vegetables. Many companies offer great dog foods. Before buying these, look up for reviews from other owners though. That would offer you a general idea on the usual food preferences of Yorkies. 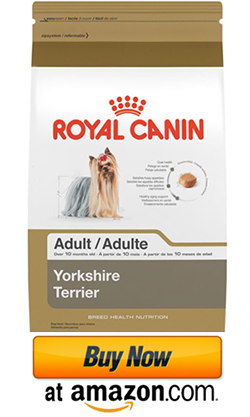 The feeding routine and the type of Yorkshire terrier food would depend on the age and personal preferences of your dog. The age is a very important factor in deciding food habits. You must take your dog for regular checkups with the vet. Ask about the ideal diet for your dog. The vet would recommend different options depending on the age. 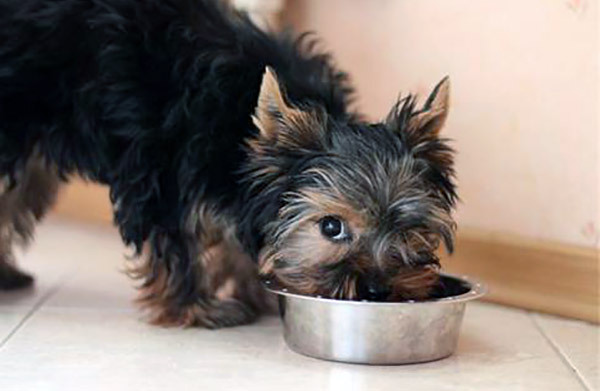 Feeding a weaning puppy requires that you keep the food available at all times. Puppies need to be free-fed. That helps in preventing hypoglycemia and lets your dog grow in a natural pattern. This also establishes a lifelong bond of trust with your dog. The Yorkie must feel that you are allowing him/her the space to be of own. The dog would then share friendship and comfort easily in your presence. However, as the dog crosses three months, consider giving scheduled meals to your dog. This is the time to discontinue free-feeding because then it would be difficult to train housebreaking later. You would not be able to infer when the dog needs to go outside if he is always getting the food. Also, they may tend to overeat, leading to health problems. Besides, scheduling would also instill the necessary discipline in your dog. You need to have a dog that does not get panicky and barks all the time. The responsibility also depends on you. You do not have to base disciplining on fear necessarily. Arrange the schedule in such a way that your dog gets sufficient physical activity before getting to the food bowl. 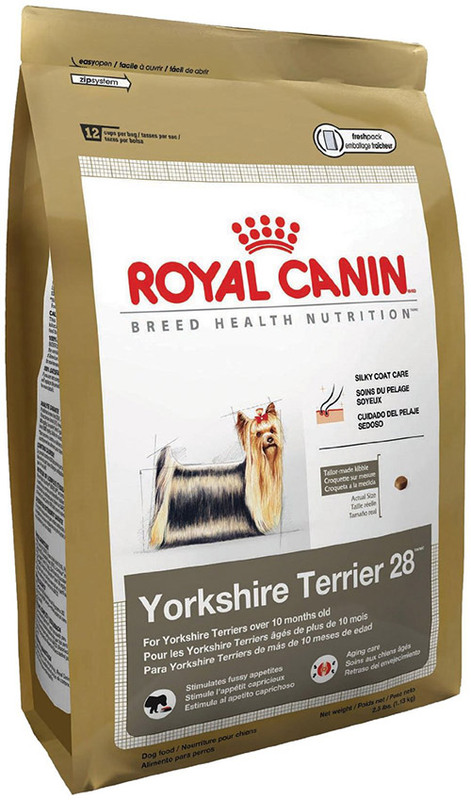 Three to four meals of Yorkie dog food should be sufficient. 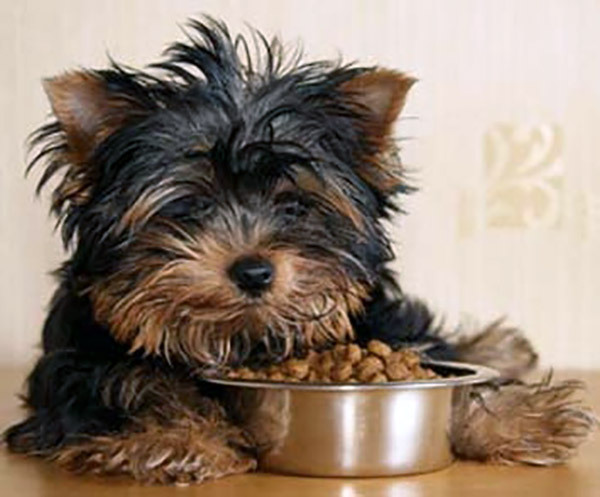 Depend on observation and intuition to understand the feeding patterns while deciding on Yorkie food. Following strict guidelines may be overfeeding or underfeeding the dogs. Also, little dogs vary in metabolism and activity levels. You have to understand the unique characteristics of your dog to decide on its food. As the dog grows and is around one year old, consider decreasing the meal frequency. Give the dog only one or two meals a day. By that time, your dog would have a distinct food pattern. By one year, you also know your Yorkie well. Besides giving processed dog foods, consider hand cooking the meals sometimes. Be generous with giving meat protein to the dogs. 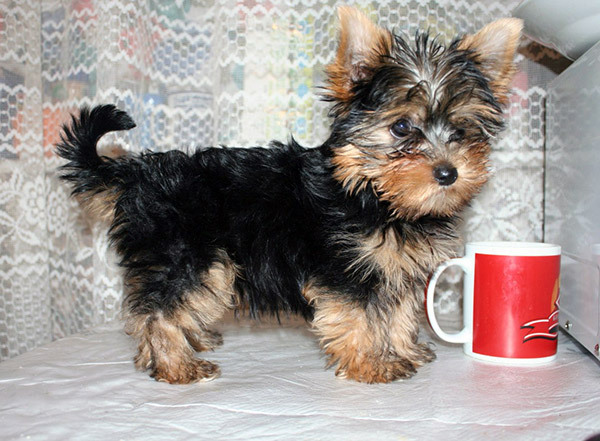 Look up the internet to find the best dog food for Yorkie puppies. There are so many forums of dog owners. 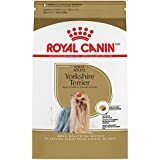 If you are going to have a Yorkie for the first time, look up the various resources for important information. Read about the temperament and grooming tips. Look up videos on how to trim the Yorkshire terrier nails. Talk with other owners and discuss your experiences and trivia. However, owners not living in apartments (and with a backyard) often do not trim the nails. That is because the dog may love to dig the earth. However, living in apartments, the nails are redundant and they cause trouble walking on the smooth floor. Trimming them helps the dog to be comfortable. 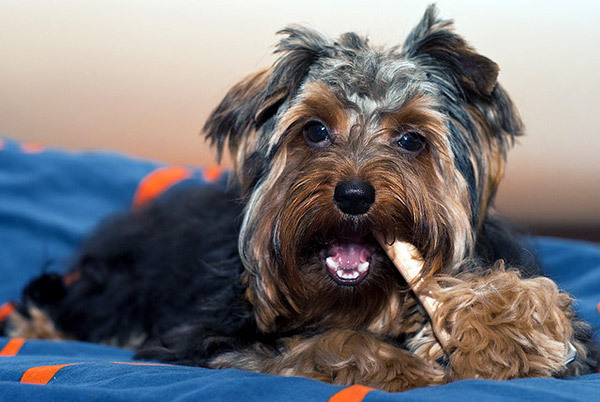 Great job finding an appropriate food for your Yorkie! We support a RAW diet, but I’m glad you found something that your pet likes! When feeding your dog a raw diet you should at least spritz the food with colloidal silver to safely eliminate any bacteria or fungus that may be present. Yes, animals in the wild have been eating raw for eons but wild animals are often infested with parasites and humans have created all kinds of new and stronger bacterium and parasites and bugs that they never had to contend with before. Feed raw… Feed smart.